FLASHH, AHAAAAAA!!! 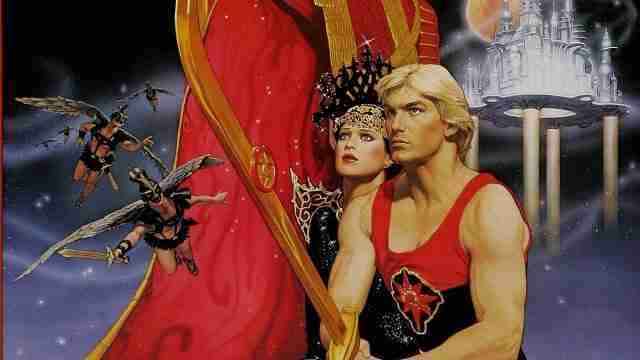 Just in time to celebrate the iconic film’s 35th anniversary (yes, it’s really been that long) Flash Gordon is landing at the Observatory hosted by Bristol Sunset Cinema on the 26th September for an outdoor screening of this lycra filled, cheesy-in-a-good-way classic. American football hero Flash (Sam Jones) is dragged from Earth to the outer reaches of the Universe where he must battle the evil dictatorship of Ming the Merciless (Max von Sydow). He is helped by technical wizard Dr Hans Zarkov, the winged Prince Vultan (Brian Blessed) and the brooding Prince Barin (a pre-Bond Timothy Dalton). We’ll be kicking off at 8.30pm on Saturday 26th September, so bring your best 1980’s hairdo’s (or hairdon’ts) and join us for the evening to reminisce or to discover your new favourite film at the site of one of Bristol’s most famous landmarks.